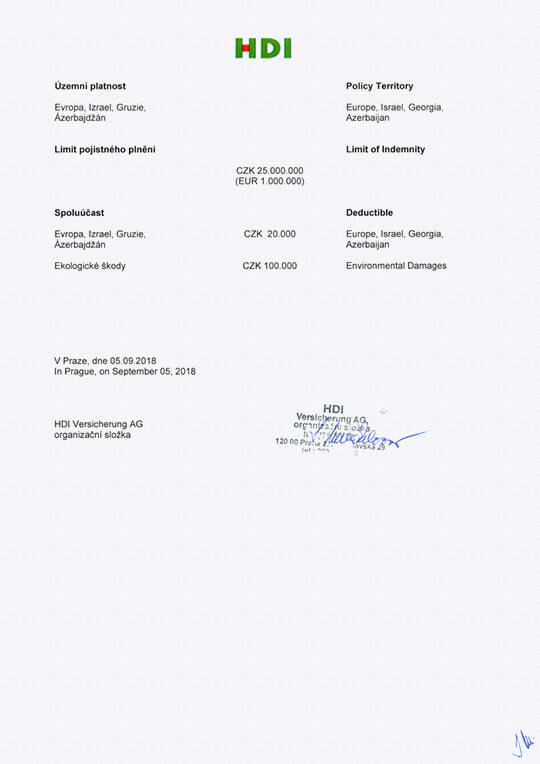 Certificate of insurance — CEPS a.s.
CEPS is insured with the insurer company HDI Versicherung AG for damages to items taken over for performing contracted operations and for damages caused to the third parties, including contamination of water resources. The insured amount is CZK 25,000,000 (1 million EUR). The Insurance will be automatically extended for an additional year unless it is cancelled 3 months prior to expiration of the current policy period. Third Party Liability incl. professional liability and ecological damages.